Our 3 Properties as below. All Prices are inclusive of linen & indoor bath towels, sauna, electricity & heating, Wi-Fi, and logs for the wood burner under a sensible usage policy of one basket per day; extra basket is £5 each, per day. Note the property is fully heated by night storage heaters. Please Note Wnion Wood Hot Tub is unavailable at this time. We now do prices without Hot Tub, for those who are not interested in a Hot Tub or cannot use them; Hot Tubs are now a large additional expense due to their servicing and running costs, and Health & Safety requirements. So we now feel it is only fair to those clients to not pay for something they do not wish for or cannot use. The savings is averagely £182 on a week and £96 on a 3- or 4-night base price for two, without Hot Tub. Please inform us, and we will update the invoice for your booking with the no-Hot Tub price. 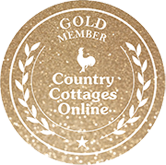 We also are now doing discounted prices for 4-night for the price of 3 nights mid-week breaks throughout the year accept the summer months that are discounted at a rate of 4 nights at the price of 3.25 nights. Please see full details in the pricing section of each property. Romantic for 2, or family up to 4. Two small to medium size dogs. Large raised decked area with Hot Tub, large grass garden. Romantic for 2, or two couples or family up to 4. Two small size dogs. Layered terrace Woodland garden. Please Note Wnion Wood Hot Tub is unavailable at this time prices reflect this to end Aug. Romantic for 2, Plus 1 family. Two small sized to medium sizd dogs. Large patio area around Hot Tub, separate grass garden section, deck by pond and overlooking running stream.